See below for notes from Sunday's message. 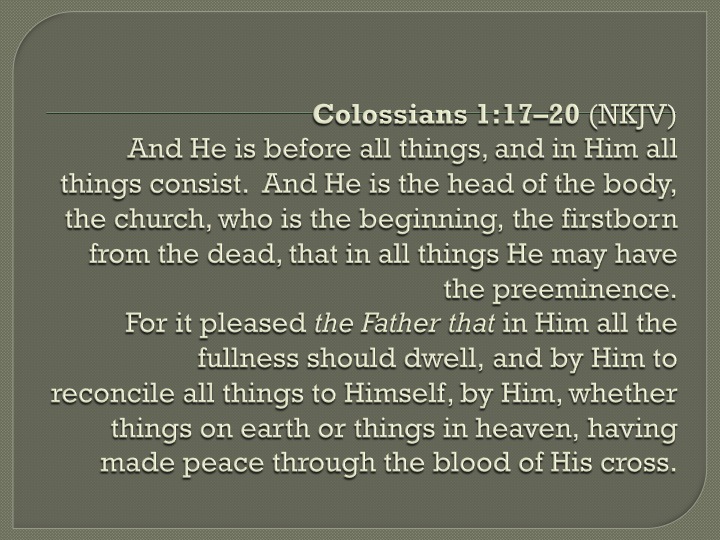 Scripture references: Ephesians 4:11-16, Ephesians 5:23-30, Colossians 1:17–20, 1 John 2:1-6, and John 14:6. Posted on March 27, 2014 by Kris.